On October 26, 2017 the registrant publicly released its financial results for third quarter 2017. The full text of the release is furnished as Exhibit 99.01 to this Current Report on Form 8-K, and is incorporated herein by reference. 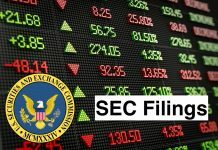 This information shall not be deemed "filed" for purposes of Section 18 of the Securities Exchange Act of 1934, as amended (the "Exchange Act"), or incorporated by reference in any filing under the Securities Act of 1933, as amended, or the Exchange Act, except as shall be expressly set forth by specific reference in such a filing.